The office of Armadillo Nicaragua is located in the historical city of Granada. 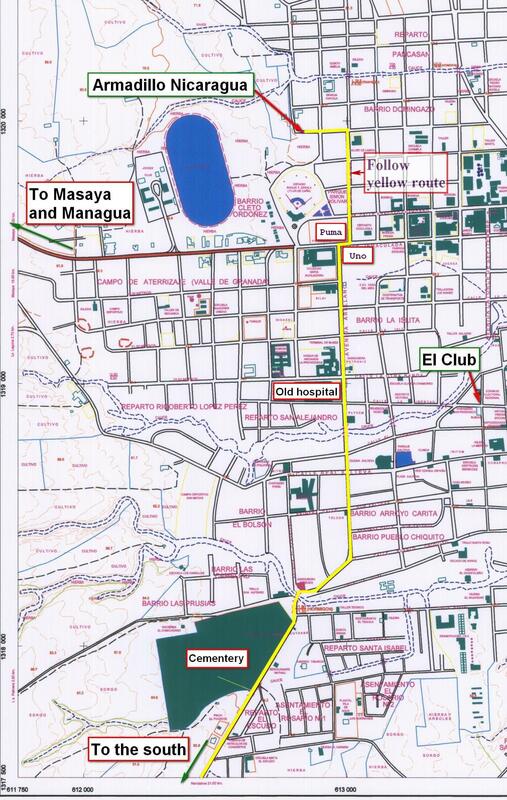 The map on the right shows the location of Granada in relation to Managua and Masaya. Granada is about 45 minutes on the route going south from Managua to Ometepe, San Juan del Sur and Tola. The map below shows a part of Granada with the location of our office, and the main entrance roads from the north and the south. Click on it to enlarge it. We now also have a web page with our office location on Google Maps. 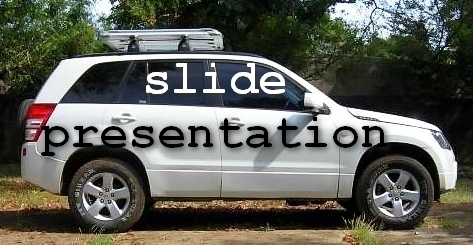 In case you bring your own GPS, our office coordinates are N11°56.402' W085°57.822'. Our office is open from 8 AM till midday and from 13:30PM till 8 PM, every day of the week. 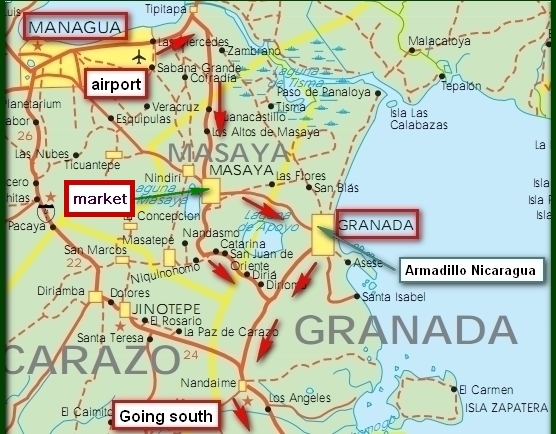 To clients who arrive in Nicaragua by plane we offer several alternatives for picking up/returning the rental vehicle at Managua airport, these are described here. Similarly we provide two alternatives to clients that enter Nicaragua coming from Costa Rica. If you want yet another arrangement we can see if we can accomodate you on a case by case basis at some additional cost.